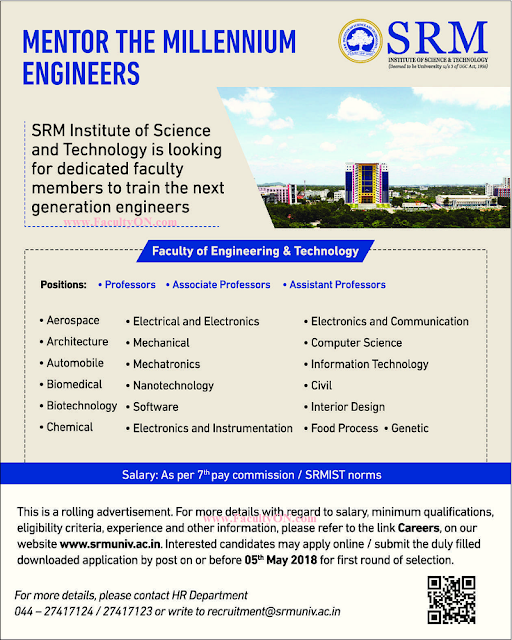 SRM Institute of Science and Technology, Chennai has advertised in THE HINDU newspaper for recruitment of Professor / Associate Professor / Assistant Professor jobs vacancies. 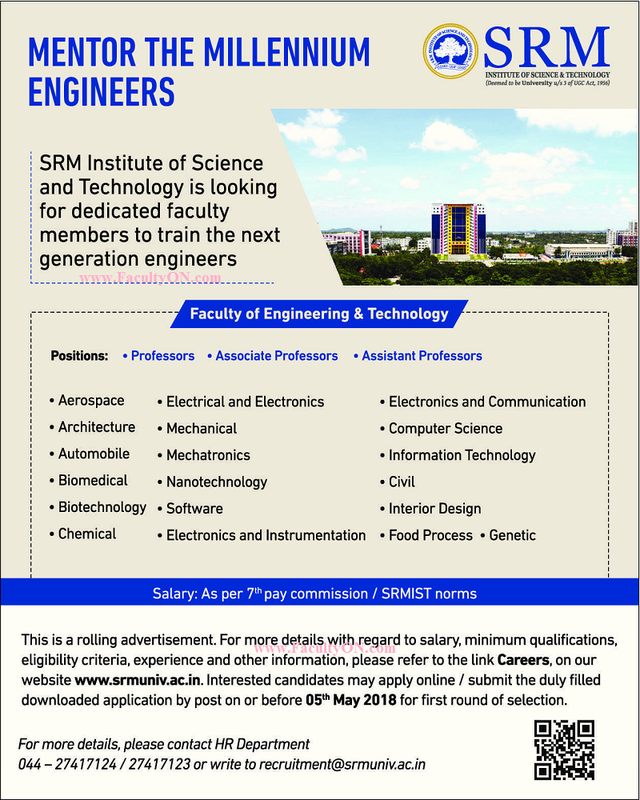 Interested and eligible job aspirants are requested to apply on or before 05th May 2018. Check out further more details below.